Macbeth. The Scottish play. One of Shakespeare's most famous and bloody tragedies. An epic story that has been adapted time and time again on stage and screen (most notably by Orson Welles in 1947 and Roman Polanski in 1971). Nearly everyone has either studied it at school or seen at least one version over the years. 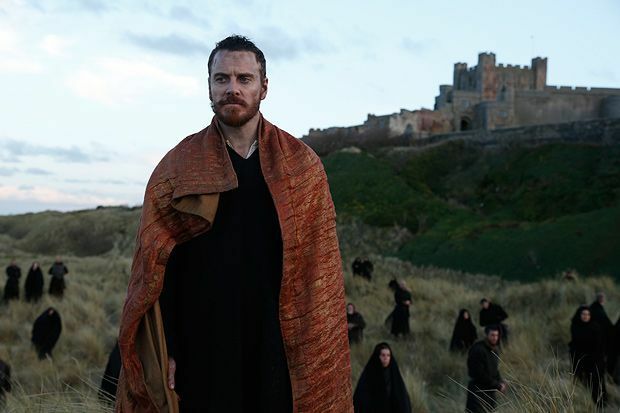 Somehow Australian director Justin Kurzel has managed to make this 400-year-old text feel fresh with his new adaptation starring Michael Fassbender in the title role and Marion Cotillard as Lady Macbeth. The leads are backed up by a strong British and Scottish cast with Sean Harris as Macduff, David Thewlis as Duncan, Paddy Considine as Banquo and David Hayman as Lennox. Macbeth is on general release from Fri 2 Oct.
Australian director Kurzel significantly trims Shakespeare's drama, placing the emphasis on brutal, bloody conflict and primal energy. The cast is impressive but Fassbender's warrior king has all the fury and impact of Pacino in his prime; all in all, an adaptation of raw, haunting power.